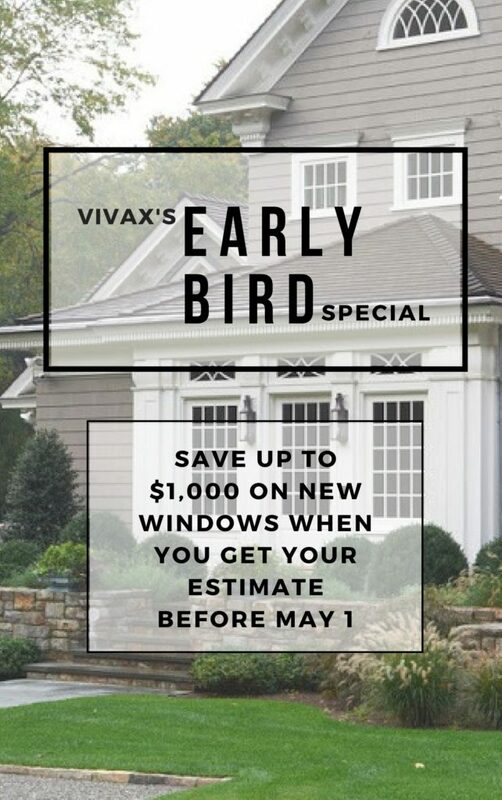 When it comes to understanding windows and doors, you can depend on Vivax Pros to help you through every step of the process. When is the best time to do a window project?- Windows can be installed any time during the year. All that’s needed is a day when the temperature is above 40 degrees so the caulking will set up correctly. I’ve heard that vinyl is not a good material to make a window out of, is this true?- Vinyl technology has come a long way in the past 10-20 years. Today’s vinyl windows are made from stronger polymers that are more UV resistant and thus last much longer than vinyl windows made just 10 years ago. Can I change the style of my window?- Yes. You can change the operating style, or even put a door in where a window was before. As long as the windows are within the manufactures limits of sizing, there’s no problem at all to changing the operating style, color or even the opening size itself. Does it matter where the windows are manufactured?- To some degree, yes. Windows that have Argon or Krypton Gas installed at the factory most definitely need to be made locally. With altitude change comes pressure change and that can cause broken seals, bowed glass or even broken glass. Andersen Windows installs a Capillary Tube to insure the windows pressure remains stable while going up or down in altitude. These tubes are closed off during installation. Milgard Windows are manufactured locally and have no problems in the Front Range Area. What is LowE Glass, and why is it important?- Low E stands for low emissivity. The lower the emissivity the higher the percentage of long-wave radiation blocked thereby improving thermal performance. Low E glass is coated with a thin microscopic, virtually invisible, metal or metallic oxide layer. The primary function is to reduce the U-value by suppressing radioactive heat flow. A secondary feature is the blocking of short wave radiation to impede heat gain. A well manufactured and energy efficient window will also deflect the heat or cooling back into the room making the room more comfortable year around. How quickly can I get my windows installed?- The local manufactures like Milgard can get windows done and to the job site in as little as 4 weeks. Andersen is more towards the 10-week time frame. Different times of year can create a lengthier lead-time. Why so long? My windows look like standard sizes.- Retrofit windows are measured and custom manufactured in 1/8” increments and are all made custom for the opening they going into. As homes settle over the years, openings go out of square and thus the window size may actually change slightly from what was installed by the builder. This allows our installers to fit the exact right window into your opening and thus create the most efficient window possible for your home. Choosing quality windows plus expert installation would generally run anywhere from $800 to $1,500 for each unit, depending on the style and size. Picture windows, bays, and bows would cost more.